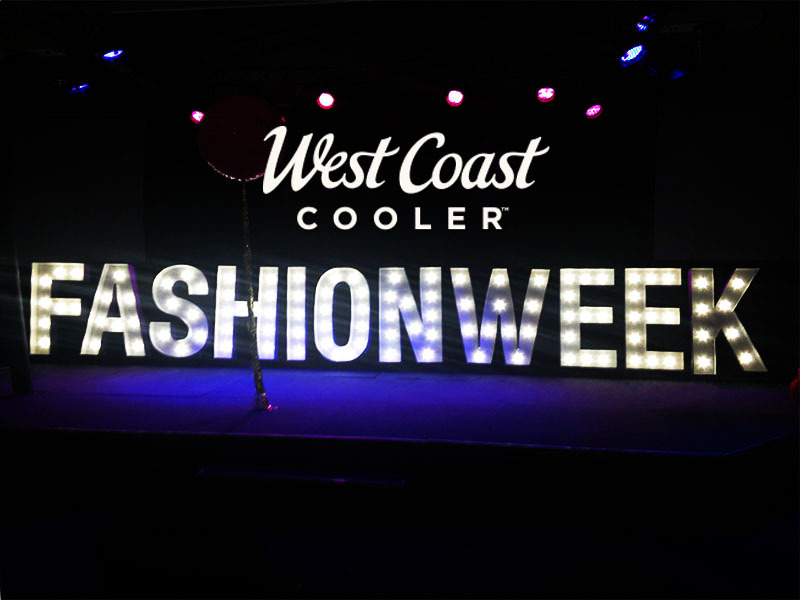 There’s always a lot of publicity around West Coast Cooler Fashion Week. Every year l really want to go see what all the hype is about. Luckily, this year I secured a spot on the guest list as COMME des VOGUĘDOWN’s plus one. I’ve attended fashion events before, but this was my first media press launch. It was so exciting and new to me - the location, the photographers, the models, and of course the latest AW trends. So on August 20th, we made our way to Life Church for West Coast Cooler’s twentieth season launch! First thing I noticed when we walked into the event? Everything. There was so much going on – camera flashes going off, thousands of glasses of West Coast Cooler being poured. More free food? And what’s that? fro-yo?! As you can tell, it was a lot for me to take in. But it was all good, I got used to the spicy cocktail sausages and Rosé fairly quick. Something very special I feel the need to talk about are Electric Alphabet's lights. Highly Instagram worthy one might say. As you can tell I'm very into the look and feel of a place - you need to set the mood. So the massive “FASHION WEEK” light-up-letters totally set the scene. They provided the perfect setting for the show and the photos in particular. They’re also such a novelty, myself and many others stayed behind at the end just to take photos. A massive light-up “S” has been added to my wish list. The show commenced and the camera flashes began to blind me. Kidding, I was there snapping some pictures too. But unfortunately, none of mine were very good, so here’s some super pro ones. The 3 main trends this AW were bright, bold colours, tweed, and suede. Firstly, pairing bright colours isn't my thing. In fact, it's rare you'll see me in anything bright. It's mostly greys, blacks and whites. If you see me in colour it'll be maroon or a dark green. Sometimes, you’ll see me in mustard, the chances that it will be paired with grey are high though. That’s my problem, I pair ‘brights’ with darks. You need a lot of confidence for this, I mean it goes without saying that two bold clashing colours are going to turn heads. But it’s a great chance for us in Ireland/UK who haven’t been wearing our bright clothes this summer due to the lack of summer. Our brights will finally get to see the light of day with this 80’s look! Let’s face it – tweed never goes out of fashion. It’s always a smart buy, it effortlessly dresses up an outfit, instantly adding a sense of sophistication. It’s perfect for work – smart, classy and the heavy material makes it perfect for AW. I picked up a long, tweed jacket in New Look’s winter sale, so I’ll definitely be pulling that one out again this Autumn. Luckily for everyone who’s been rocking the 70’s style this summer, suede is here to stay. This style is all you’ll see everywhere right now. Especially camel-coloured suede, which I think looks amazing with every skin tone. But if you’re not into Suede, opt for velvet. It’s super cosy looking. I loved this velvety-metallic dress from ASOS. It's probably my favourite piece from the show. The deep burnt orange is super autumnal, and looks almost rusted. I think it’s a piece anyone could wear and work around to make the outfit their own. I'd definitely pair this with a pair of tights and some rose gold jewellery. Ok so these were the best goody bags I’ve ever seen!! Maybe I haven’t received a goody bag since my primary school friends’ birthday parties, but still, this one completely exceeded my expectations. There were only 120 goody bags and 190+ people at the event. Which meant I did of course leg it to get one. And I was pretty lucky because, by the looks of it, everyone had the same idea, and I can totally see why. Lucky for me I've been working on my upper-body strength, because when I was handed that goody bag, I kind of staggered a bit. It was so HEAVY! Turns out I’d just attained a tonne of beauty products, spa/hotel vouchers for Galgorm Resort & Spa and a few magazines to flick through! 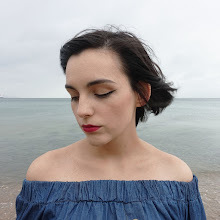 So here's a few of my favourite steals from the day (it actually did kind of feel like I was robbing the place). So that sums up my experience at my first media press launch. 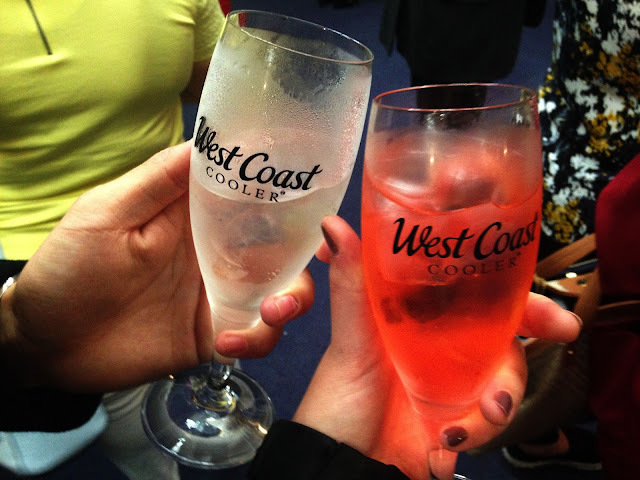 Thank you West Coast Cooler for an awesome experience!